At the Data School, more often than not when Alteryx needs to be taught, I bring in people way better than me. Last week though, I wanted to give teaching spatial analytics a go. I'd been practicing with some exercises, felt like I was improving, and wanted to test my learning by teaching. If you don't know me, then it's important to understand that I am a massive believer that teaching a topic is the best way to learn it. Practical exercises make concepts stick and this one worked for me. 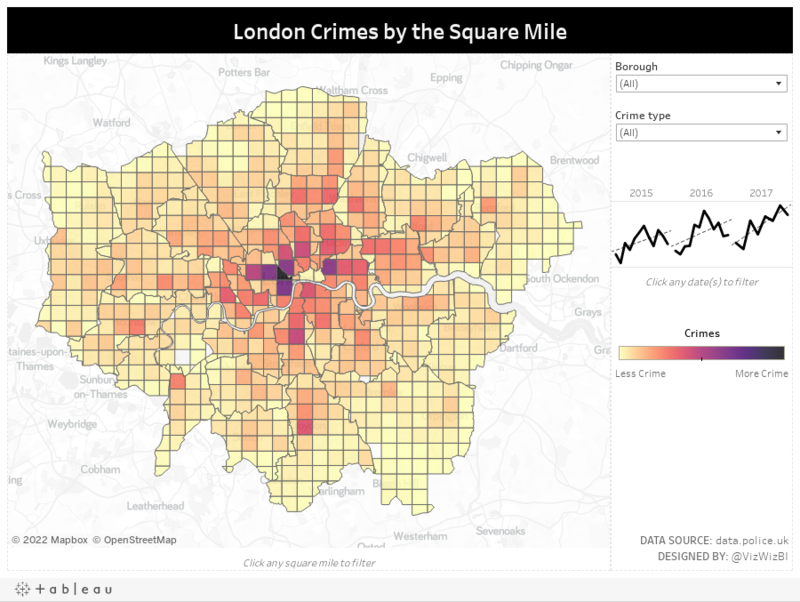 From this point, I created a simple interactive Tableau dashboard so people can find the areas near them with the most crimes. Any way you can share your alteryx workflow file? Possibly but surely it’s easy enough to rebuild from the screenshot?? Plus you’ll learn more building it yourself. This is amazing. Downloaded free trial of alteryx and am trying to replicate by neighborhood planning unit for atlanta. My output is nada though, and I think it's the functions. When you say 'summarize crimes', what action are you applying? When I do a groupby my output is just a single column of the crimes and nothing else. I'm sure it's simple, but my experience with alteryx is a total of 20 minutes. You should group by a dimension (like zip code), then sum by crimes.